Along with Sha’ab Claudia, this is one of the most visited and famous reef in the Fury Shoals reef system. The main attraction here is the southern part of the reef, which is situated directly next to the boat. This is an explorer’s dream. The reef formation is like a playground of craggy corals, canyons and labyrinthine caves all waiting to be discovered. It is also possible to explore the northern part of the reef where a beautiful hard coral garden lies. Be sure to scuba dive the west and east side close to the reef. Here there are large coral blocks with an amazing cover of hard and soft corals. 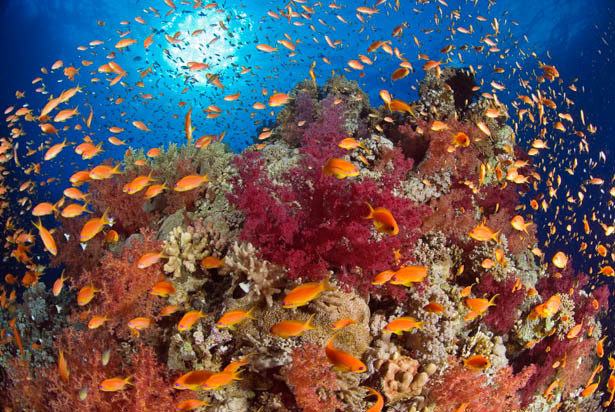 Almost every kind of Red Sea fish can be found here. Even at the south end of the reef, you can find enough coral blocks here to make four scuba dives! This is one of the most prolific dive sites in the Red Sea and not to be missed.